Reunions provide special opportunities for alumni to visit with classmates, share memories and stay connected to DePaul Catholic High School. The Advancement Department will assist alumni with their reunion planning. For example, we can provide class mailing lists, email invitations, receive payments, and inform classmates of upcoming gatherings through our website and DPC social media. 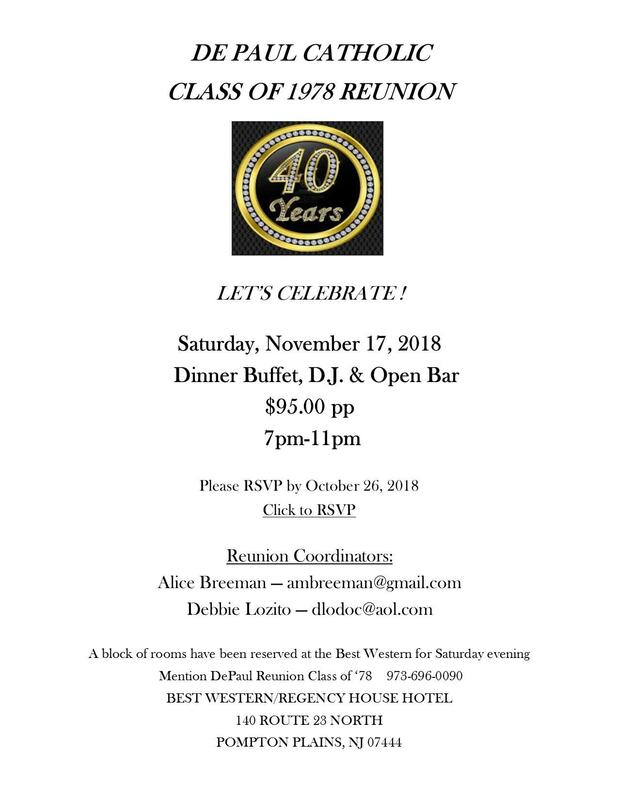 Should you and your DPC class wish to organize a reunion and would like the help of DePaul Catholic staff, please contact our Advancement Office at any time. We will gladly help you get the ball rolling! Call Advancement for more information at 973-694-3702, ext. 440. 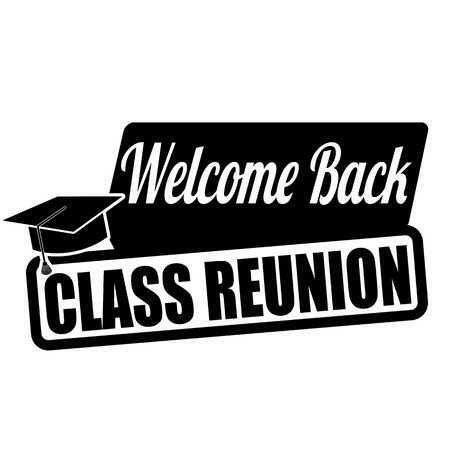 REUNIONS PLANNED FOR 2019 - 2020. Date: October 2019. Date TBD. Date: weekend of September 28, 2019. Includes several activities. Join the celebration. Call or email Lynn (O'Brien) Quinn at lynnquinn12@gmail.com. Where: Portobello Banquet Hall in Oakland, N.J.